Atlanta flood equipment is based in Marietta Georgia and serves the entire Southeast 24 hours a day, 7 days a week, 365 days a year. Call or use our contact form to request a current price sheet. We have only the best equipment, which means you rent only the best equipment. We can answer your questions and provide you with support and assistance to select the best equipment for your needs based on the amount of water that leaked, the amount of hidden water inside your ceilings, walls and floors and the type of surfaces you have. We can also provide expert advice on how to use and how to properly set up the equipment. Learn the proper way to do structural drying from the professionals at Atlanta Flood Equipment. Let AFE be your one-stop source for all your flood equipment rental needs. Our qualified staff of trained technicians are always on call to help you drastically minimize your losses and get you back in business. Do you have the labor available but are lacking the right equipment? Don’t buy costly equipment when you can rent from us at wholesale prices! 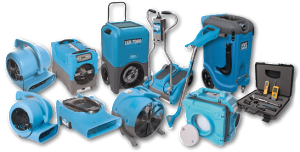 If you’re faced with water seeping into your building from a broken pipe and you want to take care of the situation in-house because of the enormous prices you’ve had to pay in the past for water damage services, contact Atlanta Flood Equipment and rent the equipment you need. We can also provide expert advice on how to use and how to properly set up the equipment. Learn the proper way to do structural drying from the professionals at AFE. Let AFE be your one-stop source for all your flood equipment rental needs. Our qualified staff of trained technicians is always on call to help you drastically minimize your losses and get you back in business. SERVING ATLANTA AND THE SOUTHEAST: ALABAMA, GEORGIA, TENNESSEE, FLORIDA – 24 HOURS A DAY, 7 DAYS A WEEK RELIABLE, QUALITY RENTALS AT THE PRICE YOU CAN TRUST.